The beauty of Madhya Pradesh you find off the main roads into the furthest villages. The small villages. The beautiful hidden lakes. The big and small farmlands with such a variety of crops growing all year long. And finally, the vast vast barren lands that touch the horizon. Yesterday, I was on such a route around Janwaar. I went down south from Janwaar towards the Naveen Jhalar lake. After one kilometer the road turned into a small barren stretch where only bikes or tractors could pass. Beyond the lake, the scene turned into a jungle, a dry jungle. 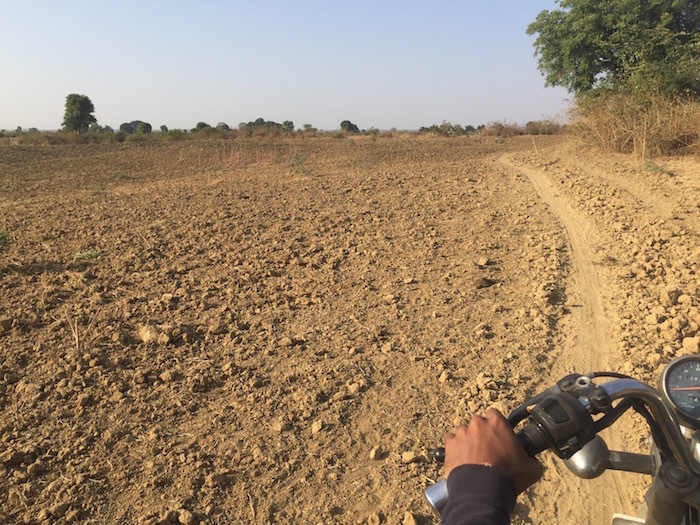 Pure offroad pleasure until we reached the first village, Jhalai. A must see here is the house of Jhalai Raja. From here the road to the next villages, Mathurapur, Chaukanpurva and Muraj, is pretty much straight. It’s a mud road. There you’ll see farmlands and barren lands as far as your eyes can reach. Near Mathurapur village part 1 ( see on the map in the end) there is a spot where a huge festival is held every year during Basant (January). Leaving Muraj towards Bhagepur is a beautiful ride. Some ups and downs, crossing water streams and large farmlands on both sides. Bhagepur is the midpoint of the ride. Ride up to the school and you’ll surely find something to snack. From there we went 2.5km back on the route and turned on the road leading to Mohanpurva. 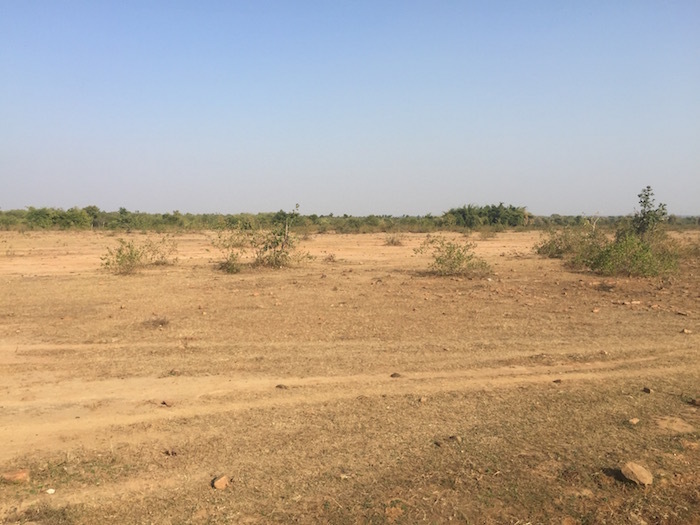 From Mohanpurva onwards the land is mostly barren. There are some roads till Gadarhai village, but beyond that, as the locals say, you have to follow the buffalo tracks. Barrens land till the horizon. So its recommended to keep your water bottles full and your belly filled from Bhagepur when you go on a bicycle. A beautiful lake, Chiraiya Pani, is a few kilometers before the trip ends. From there turn towards Naveen Jhalar village and make your way back to Janwaar.